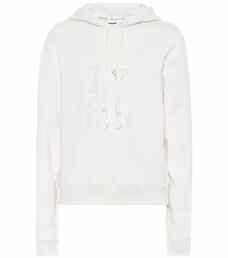 Saint Laurent's oversized cotton hoodie is a necessity for chilly-weather days. 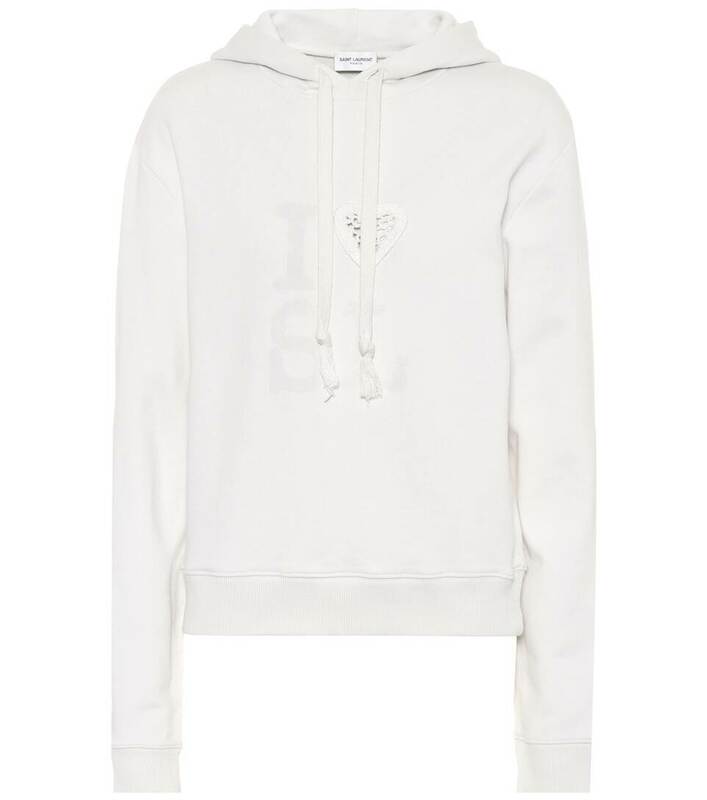 Crafted in France, this all-white design features tone-on-tone branding at the front that serves as a play on the signature "I heart NY" motif. 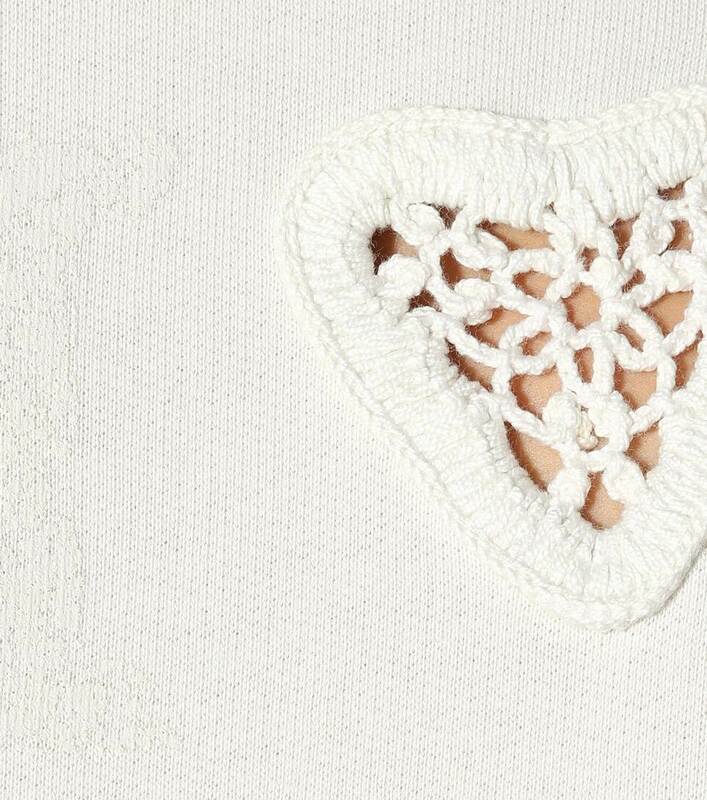 A crochet heart adds a luxe finish to the sweatshirt style. Layer yours over black leather trousers for cool contrast.